Athena has just Leveled Up! Welcome to the next level of grassroots innovation, where we join forces with internal champions and external contributors in our most meaningful way yet. Your mission, should you choose to accept it, is to engage in the cutting edge of integration between generations of movers and shakers in the Military and the most advanced industrial and academic support. Athena is seeking energetic, inspired, and forward-leaning intrapreneurs on a quest for organizational change to pitch at our inaugural Athena DC event, in partnership with the Navy League, at the 2016 Sea Air Space Exposition. Bringing together the wisdom and empowerment senior leadership, diverse talent of thought leaders from industry and acedemia, and a cadre of deckplate innovators, this will be an event you won’t want to miss. Presenters will have the opportunity to pitch their concepts for improving the military and National Security to a panel of senior leaders as well as a diverse audience that brings together best of the government, academic, and commercial worlds. Like all of our events, the format will be informal and fun: no uniforms required, amongst great company, and with an atmosphere electric with possibilities. All we need is you. If you have a big idea to make your command, the Navy, the Military, or the Department of Defense better, we want to hear it! Submit your proposed concepts to Athena via e-mail or social media for selection to pitch at this groundbreaking event! Our goal is to deliver 6-8 powerful pitches to the assembled crowd, with a laser focus on turning these concepts to reality. In our past events, we’ve had many ideas begin the path to transition, receiving in excess of $1M in funding to deliver game-changing concepts to the fleet. Most recently, two Athena pitches received $100K in funding apiece to transition solutions to the fleet. Come throw your hat in the ring and make the Navy better! Our proud Athenians well represented at the West Coast Innovation Jam. Which Athena DC presenter will pursue funding at our first East Coast Innovation Jam? This event will showcase your big ideas, but will also tell the story of several success stories. You’ll be able to hear from, and meet with the young innovators that are currently prototyping solutions to send to the Fleet and increase our Navy’s capabilities. Join us at 7pm on Monday, May 16th at the Gaylord Center. The event is free and open to all at the Sea Air Space Exposition and the DC area! Check the Sea Air Space event list / website for the specific room. Don’t miss it! Come join the movement! Let’s work together to make our Military a force of the future! Introducing ATHENA Silicon Valley 1.0! This way to an incredible innovation ecosystem and some great ideas to improve the military! We are cracking the door to a group of service-members surrounded by the frenetic acceleration of technology and ideas in Silicon Valley. This is exciting and new in that many of the service-members are either reservists or working to support the reserves. There is a huge pool of talent that lingers at the door-step, who have uniforms at the ready, and who understand from experience the challenges we face in defense of our nation. There has long been a cry to better leverage the talent that exists within the ranks of our reservists. We are doing our part to open that door a little wider and source the ideas that have been informed by an outside perspective. Expect to see some ideas from the active duty serving the reservists as well as those who are undercover as civilians in their day job during our traditional pitch competition which will take place from 2:00-4:00pm on April 28th at BJ’s Brewhouse in San Jose. We are teaming up with the Defense Entrepreneur’s Forum (DEF) to host an Agora, or informal meetup, at lunch just prior to the event. The focus of the Agora will be to ideate on the question: “How might we leverage the reservists to inform the aqcusition and use of cutting edge commercial technology.” Both events are free to attend, with lunch and beverages available for purchase through the venue. Join us at BJ’s Brewhouse in San Jose on April 28th at 12pm for DEF Agora and at 2pm for the ATHENA Pitch Competition! See you there! 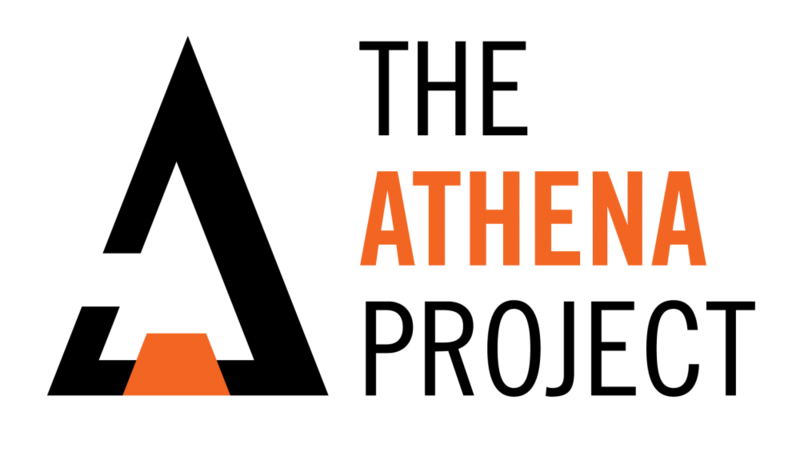 If you are in the area, a member of the DoD, and would like to pitch, reach out to us at athenanavy@gmail.com. Follow us on Facebook: facebook.com/athenanavy. Twitter: @athenanavy.